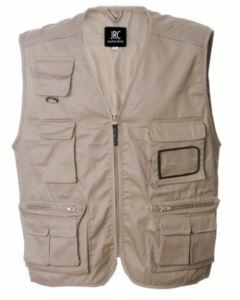 Born in the world of extreme sports, to repair the chest meanwhile keeps the arms free, summer waistcoat is very versatile. 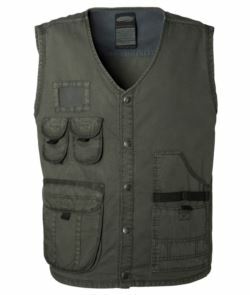 Work waistcoat is very practical and useful, thanks to many pockets, often including a bumper holder. Lightweight, breathable techno-fabrics make it a perfect complement for your workwear, even during warmer months. We have a wide range of colors of summer workwear to better comply with your business colors. 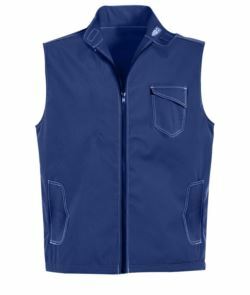 We recommended to personalize our summer waistcoats so you can enhance your business image with our custom service with emblems, stamps or embroidery designs that showcase your company brand, logo, and/or employee names. Employees outfitted with customized uniforms become “walking billboard” advertisements for your business. Contact us to evaluate which technique, due to different fabrics, best suit you. For low visibility works, visit our high visibility vest section.